A game created for a social media campaign. FORESIGHT is a Danish magazine that shares Nordic perspectives on international climate & energy concerns. This social media campaign was made to promote company values, increase followers, subscriptions and to hopefully influence audience behaviour. 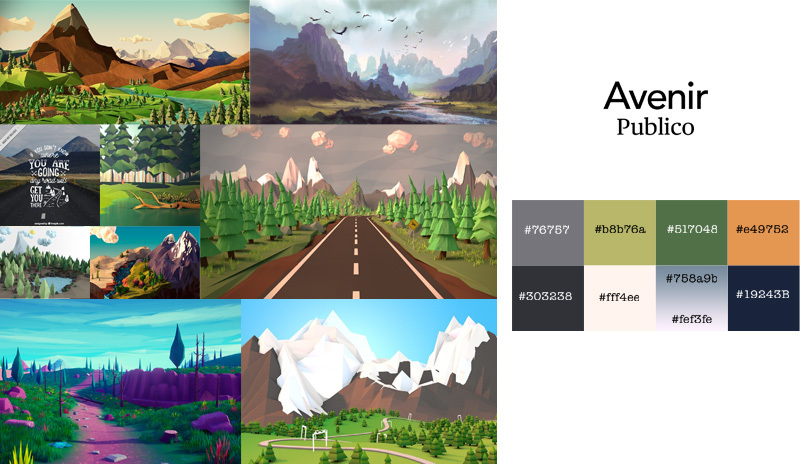 I worked with existing brand guidelines but performed a thorough social media audit to tailor the game for their Twitter, Facebook and Instagram channels. The analyse showed that images with nature-related content performed best on these platforms. That is why a background with mountains and trees was chosen for this game. 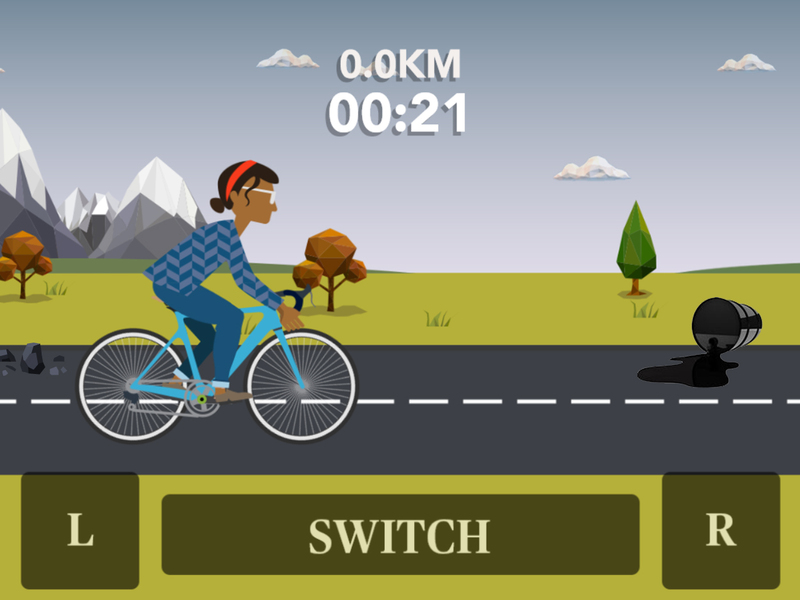 "Bike for climate" is a game and a campaign that urged people to cycle for the environment by inspiring them through entertainment, storytelling, facts and immersing images. It is a casual (HTML5) browser game that can easily be shared with as many potential new customers as possible. The user starts by choosing their avatar for the game, to represent themselves on this journey of empowerment. 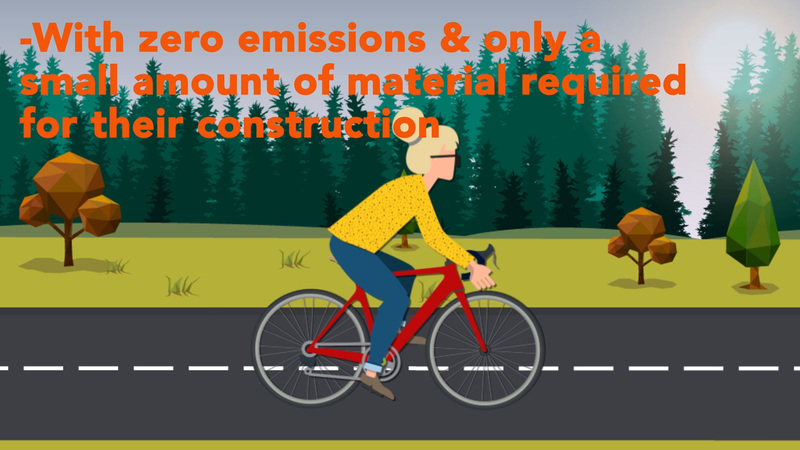 While cycling under time pressure with a countdown clock you have to avoid obstacles like carbon dioxide, cement and oil barrels that will either slow you down or end the game. To keep the game going you need to reach checkpoints to earn extra time, the longer you play the more difficult the game becomes. When the user has chosen their avatar, easy instructions are shown on the screen to get the player started. The interface in the game is simple, with three buttons on the screen: R for right pedal, L for left pedal, and a switch button to switch lane. An upbeat, motivational song is played during the game to motivate the player to keep going. There are also sounds playing when you hit the obstacles on the road. 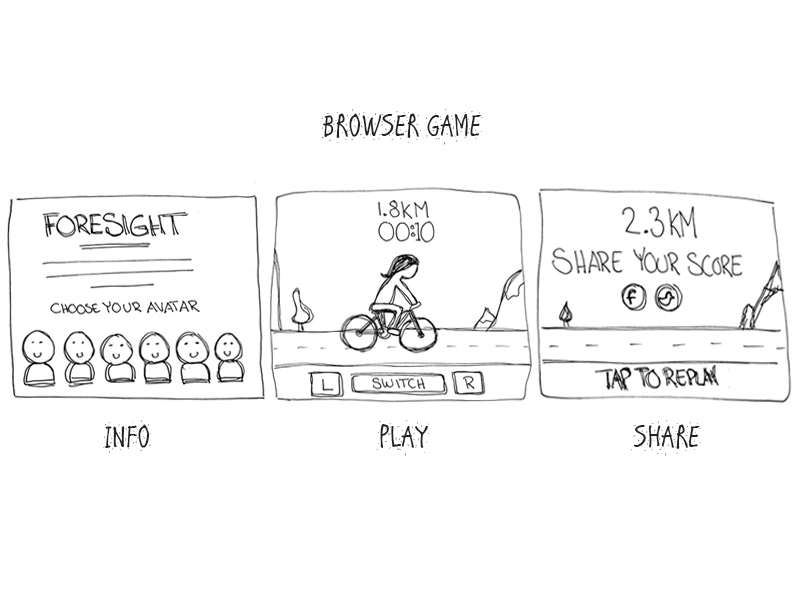 To potentially receive an award, the user needed to cycle as many km as they could and share their result on Facebook or Twitter. The top three players received a free 1-year subscription on the magazine. A promotional video of the game was also shared on social media, including facts on why people should cycle to work instead of driving. Copyright © Anna Johnsson. All rights reserved.